Tom Perrotta discusses the landmark television episode, "International Assassin," Season 2 changes, and plans for a third season. Many want to find the split between Tom Perrotta and his partner in crime Damon Lindelof. While Perrotta wrote the book (literally) on “The Leftovers,” Lindelof has been tasked with running the show alongside the novelist-turned-screenwriter. What they’ve created is nothing short of landmark television; a show so challenging some can’t bear to accept its reality but so captivating they dare not look away. But when “The Leftovers” went there in Episode 8 — taking Kevin from the world of the living to some sort of purgatory-like other side — critics and fans were faced with one of the most difficult debates yet. Was this evidence of the supernatural? Did Kevin’s journey have to be taken literally, thus proving a belief previously left up to viewers’ discretion? Or was it simply how Kevin worked through his issues with Patti, after being pushed to the edge of insanity before jumping off? He downed a glass of poison not because he wanted to die, but because he believed so strongly it was the only way to save the life he’s worked so hard to obtain. Isn’t it possible his mind made up the hotel, the assassin(s) and the rest? This, among many other topics, was discussed when Indiewire spoke with Perrotta the day following Episode 8’s wild new world. Below the series’ co-creator digs into what questions need to be answered versus which ones do not, what it meant for the show to cross over to the “other side,” the inspirations for the show (from Christian theology to “The Godfather”) and who will be deciding whether or not fans get a Season 3. I’m going to be honest: I thought that Kevin was dead at the end of Episode 7. Did you ever consider ever actually killing him off? You know what, I will be completely honest with you — we did not. So, you just had that plan in mind all along and Kevin getting dragged out to be buried just seemed like a good way to end the seventh episode? Yeah. Sometimes it’s hard to reconstruct the whole scene of events, but I think that at a certain early point this year we kind of had this idea that there was going to be a journey to the other side. And in order to get him to the other side, he has to die. It just makes sense I think to separate those– I guess you could have them together, but for all purposes it was fun to create that suspense and to do something that we don’t often do, which is answer it directly one episode later. A lot of people talked about not expecting to get an immediate answer to Kevin’s fate because of the structure of Season 2, so it was so satisfying to get that right away. Sometimes there’s not– We try to plan as much as we can, but you can’t plan everything. We knew what [Episode 8] was going to be, and, in my mind, we always knew what the outcome would be. Though sometimes we have plans and discover that they lead us to surprising places, and we change their minds. So, that does happen too. Talk to me a little bit about going to the other side — constructing the hotel and showing that other world. When did you decide that you were going to do that? You said it was kind of early in the season, but what brought that on and what made it necessary to show that world? One of the things that happened is that once we assigned Ghost Patti to Kevin, we were already into this realm of, you know, demons or ghosts or some sort of psychosis — however you want to look at it. And one of the religious experiences we wanted to explore was the shaman idea: a character who could move between the land of the living and the land of the dead. I feel like in some large sense that was the idea that we started with. And it wasn’t like we had an exact plan, but you can see in both those cases it was this issue of, you know, the interaction between the dead and the living; what was built into the structure of the season and I think that was where it started. Was that other side meant to be taken literally or is that another way to play around with both sides of the argument? I mean, there’s the theory that Kevin just dreamt all that up. You’re welcome to take it however you like. And the only reason I say that is, you know, there is the experience that Kevin has and that we witness, and then there is the question of the framework. And what you’re saying is there’s a framework I can place over this experience to look one way, but there’s another framework I can place over this experience to look another way. So you and I might say, “Well, I don’t believe there are people who can visit the land of the dead and return.” But throughout human history many, many people have believed that there are people in their community who can communicate with the world of the dead and come back. And yeah, they’re obviously operating from a different framework, and they have experiences that feel real to them within that framework. So, I think what the show is trying to do is show characters in desperate need of a framework to make sense of their experience. The framework that works is the one that works. So, Laurie saying to Kevin: “Go to the mental hospital. Take medication for years.” You know, “Lose your family. Struggle back to some version of health.” Or Virgil saying, “This is the only viable way to deal with your problems. You may still have a life with Nora, have a life with your family.” Kevin chooses this [laughs] bold solution. There are other frameworks, and we’ll see if it works for him. It seems to have worked in the short term. READ MORE: Are ‘The Walking Dead’ and ‘Game of Thrones’ Making Death Meaningless? When the episode opened with him adorning himself with his chosen identity — or who he believed he was — how did you go about picking what his options were and did you ever think about choosing differently; to tell another version of the story? Well, we did and in a funny way there are a lot of different influences on a show like this. So obviously there’s Greek mythology, there’s Dante, there’s Christian theology, but then there’s spy thrillers and “The Godfather” and I think the other one you can think of is video games narrative. You put on this outfit and these things happen. You put on that outfit and other things happen. We didn’t write a video game, but I think it’s implicit there. You know if somebody wants to write fan fiction, tell me what happens when he puts on the G.R. outfit. Tell me what happens when he puts on the priest outfit. I think that is definitely implicit. And the other fun detail, of course, is that once he chooses the assassin’s outfit and he gets it wet and he goes to look back in there’s no going back. It wasn’t like he could suddenly become a cop. That’s gone. The choice is gone now. And I loved how Kevin chose, because it felt so real for him at this moment. He obviously used to be a cop, so he could very well think of himself like that, but he’s also putting himself in this whole other role. Then you bring in the idea that when Neil starts talking about what’s great about being an international assassin — how he doesn’t have any family and doesn’t have anything tying him down — Kevin has always wondered about that. And I guess that’s kind of my biggest question right now: With Kevin he’s very adamant about what he wants — how he wants to make this family work. He just wants to be sane so he can be with Nora, but is that something we’re going to continue to explore: whether or not Kevin actually wants Nora and the baby and to be tied down as a family man? Yes, I think we’ll hear more of that, but I think you put your finger on something really interesting, which is Kevin is allowed to choose and he chooses the assassin suit, which you can look at two ways: One is that’s really what he wants. He wants to be free and have no connections and to live a violent life — not be tied down by Nora, Jill or the baby. But the other thing is he doesn’t want people to know who he is and so in some sense by rejecting the cop uniform he was just trying to remain concealed. And by remaining concealed he actually showed his true colors. It becomes a kind of really interesting question: Is Kevin the assassin? Is he the cop? is he both? Is he neither? Identity is very tricky with Kevin, within this particular topic. Kind of shifting to a broader scope of the season as a whole, there seems to be an ongoing discussion about if anything or what has changed between Season 1 and Season 2. A few of the words that people keep throwing around are that perhaps Season 2 is a little more exhilarating and a little bit lighter than the first season. Was that something you guys talked about doing when you started Season 2, or if you had any sort of framework for wanting to change the feeling that you got out of the show? Obviously we changed a lot just by moving from Mapletown to Jardin. We did make some big changes, but I tend to be a little bit more contrarian on this idea that Season 2 is wildly different than Season 1. I think that the second half of Season 1, you know, a certain pace of the show became clear to us, and I feel like we really built on that. But if you watch an episode like “Guest” from last year or nine and 10 from last year, they’re very much the same show that you’re seeing in this season that’s taking place…in a different world. For me, [instead of] seeing a break between Season 1 and 2, I see a much more consistent evolution of a show. But, yes, there were definitely discussions of– One of the very conscious decisions we made was that in the first season we felt that single point-of-view episodes had worked really well, and we tried as much as we could this year to really stick to that. So we’ve had a much more kind of character-based show. This show is Matt Jamison’s show. This show is Kevin’s show. They’re much more limited in terms of points of view. That was definitely a big conscious decision and obviously the move to Jardin was a big conscious decision. 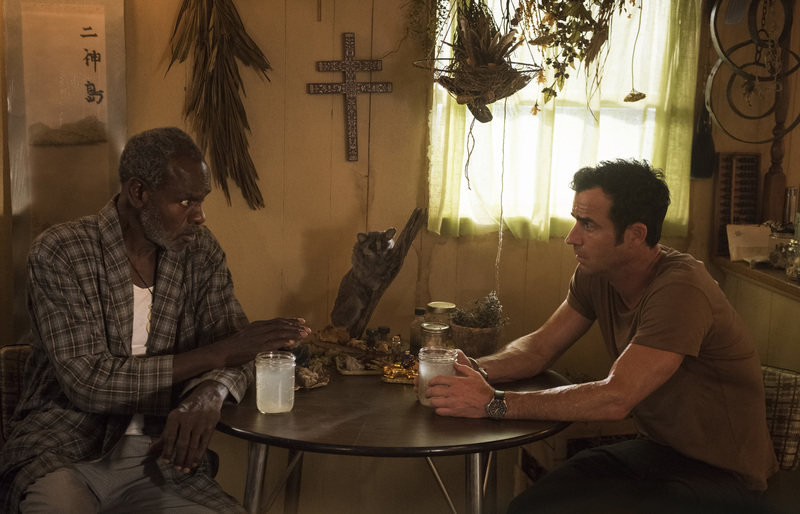 Another talking point that is constantly discussed and will be discussed when it comes to “The Leftovers” is that line between questions that need to be resolved and questions that don’t. And that line seems pretty clear to me. I don’t know exactly how to talk about it or how I could find it — which is why I’m asking you — but the departure and what happened there is clearly a question that’s not going to be answered. But when it comes to Kevin’s sanity it felt pertinent enough that I expected to learn something final about that — like what we got in Episode 8. How do you determine what answers are the answers that need to be provided, versus what questions you’re more comfortable leaving open-ended? If I could tell you the one thing that surprised me the most last year was how angry some people got when we said, “Look, the cause of the Departure will never be answered.” Either the show is actually about living with this unknown mystery — which to me it is anyway, it’s just to me we kind of covered it with yellow highlighter — but I was surprised that people were angry. And one of the things that’s been fun this year is we have a few goofy answers, where I guess if this were more of a genre show, the artifact that Kevin has to find would be the solution to the mystery. So that’s been fun. But I would say Kevin’s sanity is not a question to be answered. It’s a thing. It’s a process that he lives with, and I think the question for the show is, again, the question of framework. If Kevin lived in Laurie’s rational, therapeutic world, he’s insane — there’s no question about it. She doesn’t even ask the question of, “Kevin, are you possibly insane?” She just goes, “You’re a very sick man.” Because in that framework, Kevin is a very sick man. But if you suddenly say, “No. Kevin has the power to move into realms that are closed off to other people. [He’s] someone like maybe his father.” If you accepted that there is a reasonable way to talk about his experience, then it may not be the most useful thing to say Kevin is insane. And kind of connected to that, one of the questions that I was very curious about relates to two weeks ago when Nora actually left Kevin. He woke up and she was gone. That was one of the things that really caught me off guard. It didn’t seem like something she would necessarily do just because of what he said. And obviously I don’t want anything spoiled for the final episodes, but are we going to explore more of her rationale behind leaving him? You should just keep watching. I think one of the things with “The Leftovers” is that often we get around to answering questions [later than is expected]. Like in this case in the question of Episode 8, we answered the question of “Is Kevin dead?” very quickly. And sometimes there’s a big lag between when a question gets posed and when a question gets answered. For instance, you see Erica unearth that box in Episode 1 and it’s not til Episode 6 that you find out what that was all about. So I think that we’re very aware that there’s certain questions that are hanging out there and will sort of will hopefully be answered in time. I remember reading interviews with you and Mr. Lindelof before the season started where you talked about providing closure in the end of Season 2; kind of like you did for Season 1, where things will reach a head and resolve themselves to some degree. Is that how things ended up, and do you feel like you’re going to still have some of these hanging questions left over after Season 2? I think the difference is — in Season 1, this show was about the war between the towns, and then, sure enough, that war came to a decisive conclusion in the finale. And yes, there were other things. We couldn’t answer every question, but I think we answered the question presented by the main conflict of Season 1, and I think Season 2 we obviously have a couple of people [in conflict]. One of them was, “What’s going to happen between Kevin and Patti?” and I think, you know, that has been resolved, and now there are a few other questions out there, and we have two more episodes, so you’ll see what happens. You also said you hadn’t started thinking about Season 3 before this season began, but are you now thinking about making the next step? Are you thinking of what could come after this? Is that something you want to do? You know what? We have some vague ideas, but we don’t even know if there will be a Season 3. That’s the question we’re waiting to get answered. So you’re waiting to hear if HBO wants another one? Or to discuss it with us. I think one of the things is that post-production for the finale has just been wrapped up and people went on vacation. It will all be discussed, but at the moment there hasn’t been a lot of discussion.